Caution! 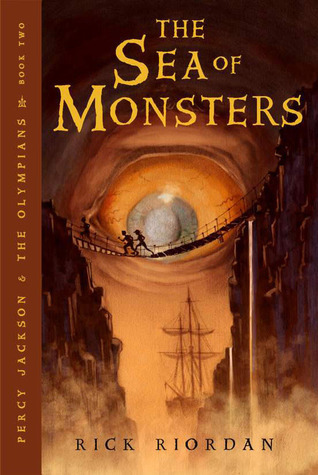 Read the first four books in the Percy Jackson & the Olympians series before continuing with this post! You’ve been warned! 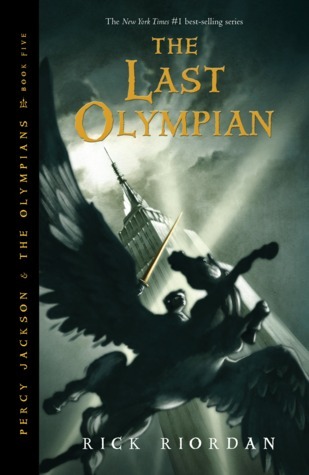 In The Last Olympian, Percy Jackson is about to turn sixteen. For most kids, this might not be a big deal, but Percy is dealing with a prophecy saying that he’ll either save or destroy the world on his sixteenth birthday. No pressure. He’s facing war with the dreaded Titan lord Kronos, and the gods are battling the vicious monster Typhon, who is storming his way toward Mount Olympus. The situation seems hopeless most of the time, but Percy has faith that good will triumph over evil. Percy and his friends know that the fate of Western Civilization rests in their young hands. Are they strong enough to battle the Titans and their powerful armies of monsters? Will hope survive against all odds? And just who is the last Olympian? Read The Last Olympian to find out if a bunch of half-blood teenagers can save the world. Warning! Read The Lightning Thief, The Sea of Monsters, and The Titan’s Curse before continuing. Spoilers ahead! As The Battle of the Labyrinth by Rick Riordan begins, Percy Jackson is attending orientation at yet another high school. As one would expect, things don’t go well. He is attacked by demon cheerleaders and is forced to flee a fiery mess. How will he explain this one to his mom? The forces of Titan lord Kronos are growing more powerful, and Percy and his friends must venture into the mysterious labyrinth to find some way to save Camp Half-Blood, Mount Olympus, and the world as they know it. This quest is not without its perils. Percy and the gang encounter hideous monsters, legions of ghosts, old enemies, new friends, and a few gods and goddesses. Who can they trust? It is unclear who is working for Kronos and who is on the side of the Olympians. As war between the Titans and the Olympians looms ever nearer, Percy and friends must work to rally all who seek to save Olympus. Can they do it? Will they even survive that long? Read The Battle of the Labyrinth, book four in the Percy Jackson & the Olympians series, to find out! Caution! Read The Lightning Thief and The Sea of Monsters before proceeding! 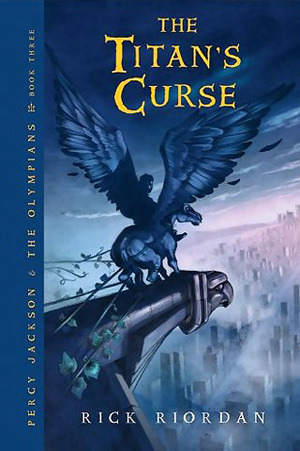 In The Titan’s Curse by Rick Riordan, Percy continues to fight against Luke and the return of the evil Titan lord Kronos. He is joined by Annabeth, Grover, Thalia, two newly discovered Half-Bloods, and the goddess Artemis and her Hunters. After hearing a particularly disturbing prophecy from the Oracle, Percy knows that things are only going to get worse before they get better. Things get worse pretty quickly. 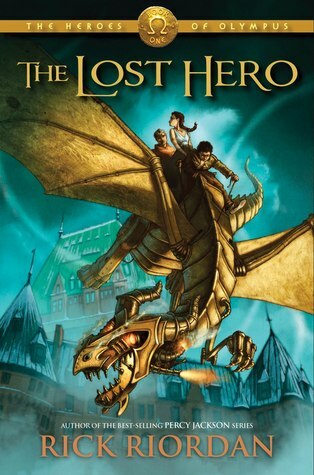 Artemis and Annabeth are missing, and Percy and crew plan to save them. Of course, they battle lots of bad, bad monsters along the way, encounter a creature that could change the fate of Mount Olympus and their lives forever, and continue to deal with their father issues. Will they be able to rescue Artemis and Annabeth before all hope is lost, or will Kronos use them to move one step closer to destroying all of Western civilization? Read The Titan’s Curse to find out! Warning! 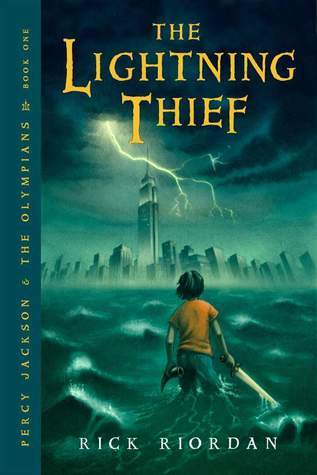 Read The Lightning Thief before reading this review! I don’t want to spoil anything for you! In The Sea of Monsters, Percy Jackson is about to end a pretty uneventful year at this year’s boarding school…or so he thinks. One horrible game of dodgeball later, and Percy is fleeing from monsters once again. He also learns the sad news that a mysterious poison has nearly destroyed his beloved Camp Half-Blood, his sole safe haven as the son of Poseidon. Percy, Annabeth (daughter of Athena), and Tyson (a newcomer to Percy’s life who isn’t exactly what he seems) go on a quest to find the one thing that can save Camp Half-Blood: the Golden Fleece. Along the way, they run into your average, run-of-the-mill, terrifying monsters and dead Confederates, reunite with an old foe, and find help in the unlikeliest of places. They’ve also got to save Grover, Percy’s satyr friend, from marriage to a Cyclops. The Sea of Monsters is a thrilling, often funny, tale of bravery, loyalty, and an ongoing quest to save the world from unspeakable evil. What will become of Percy and his friends? I’ll leave it for you to find out. Happy reading! Percy Jackson is on the verge of being kicked out of yet another boarding school. He can’t seem to behave, his dyslexia and ADHD don’t make school easy, and his pre-algebra teacher has just turned into a monster. I know some people think their math teachers are monsters. (Quick shout out to my mom, an eighth-grade math teacher.) Well, Percy’s teacher actually is. She’s a Fury right out of the Underworld, and she does her best to destroy Percy while on a field trip. Well, she doesn’t succeed. (That would make for a very short and disappointing book, wouldn’t it?) This little incident, does, however, help to open Percy’s eyes. He soon discovers that the myths he’s learned about ancient Greece aren’t myths at all. In fact, he’s the son of a god himself, and he’s got some pretty big problems ahead of him. Zeus’s master lightning bolt has been stolen, and everyone thinks Percy stole it. Percy knows that’s not true, but how can he prove it? Percy and his friends set out on a quest to find the stolen lightning bolt and return it to Zeus before the summer solstice. As you can imagine, things get in their way. Percy must deal with a father he’s never really met, hoards of monsters on his heels, treachery from an unlikely source, a perilous journey to the Underworld, and an evil that even the gods will not speak of. Exciting, yes? Read Rick Riordan’s The Lightning Thief to experience Percy’s action-packed journey and see if he is successful in his quest to restore peace to Olympus.